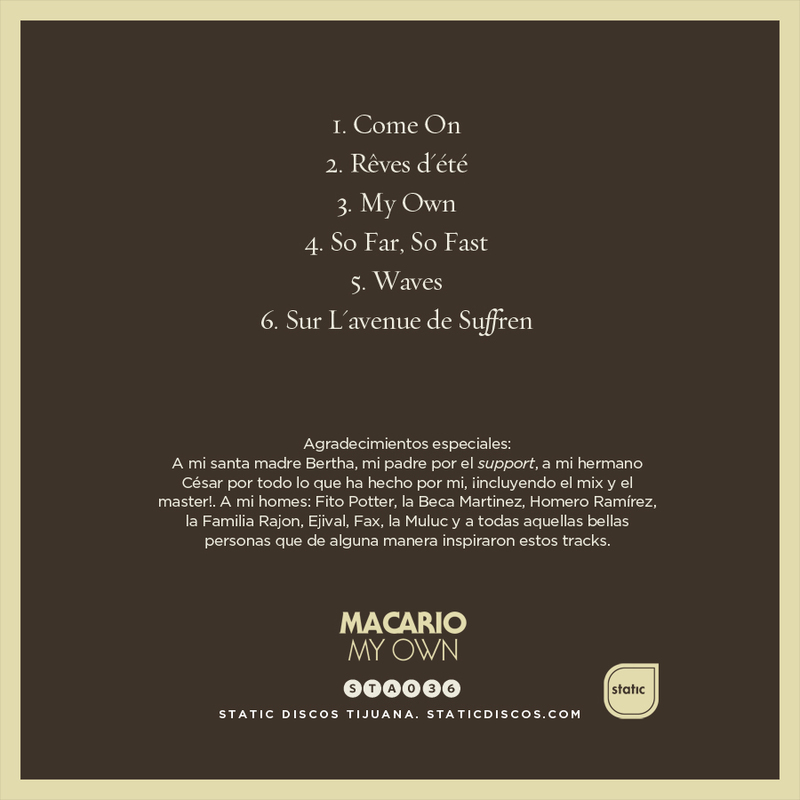 Static Discos is proud to release the debut EP by Macario. 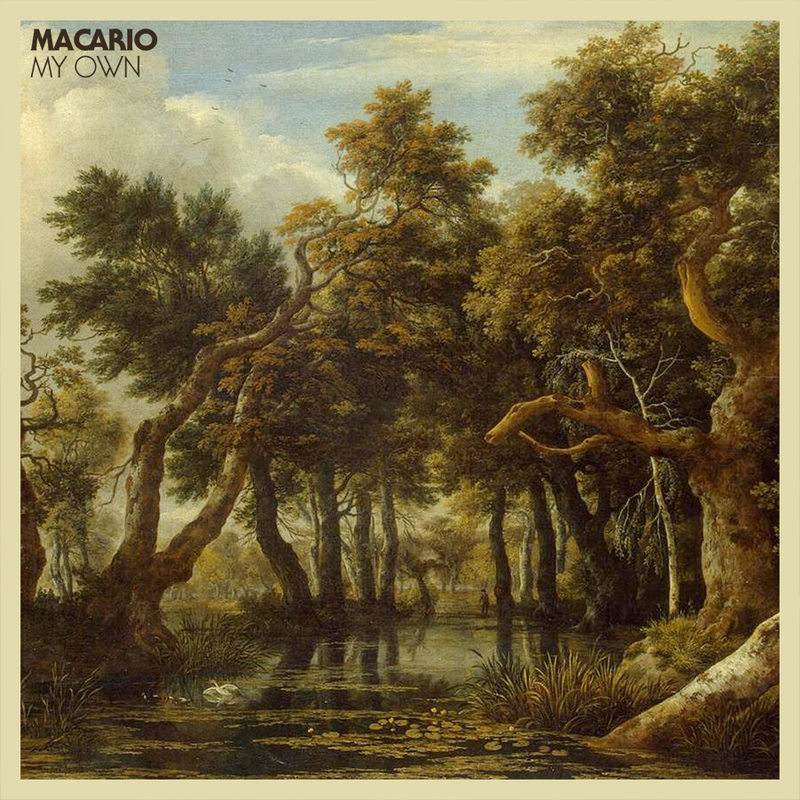 Macario’s debut is a swing out sister album of dark techno pop, haunting ambiance and cosmic mischief. Macario is Mauricio Urbina. 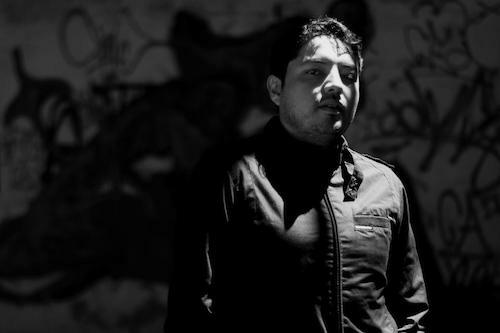 Macario started as a fictional character Mauricio developed for a Hip Hop radio program in a college radio station in Puerto Vallarta, México. At the time he was a sports correspondent and also hosted a comedy section for a news program. The character took a life of its own, being a more relaxed and outspoken alter-ego of Mauricio. Mauricio started DJing and then moved onto music production. The name of his project is also inspired by a character in the fairy tale of the same name by German novelist B. Traven. “My Own” is his debut and first release on Static Discos. Stream on Spotify or Google Play or buy on iTunes or Beatport. The EP was mixed and mastered by Mauricio’s brother, César Urbina, a music producer also known as Cubenx. Artwork by Rubén A. Tamayo.